There are a plethora of plasticky toys out there for our kids to pick up, play with, break and get bored of. A lot of times the packaging can have more longevity than the toy itself ... and provide a greater source of enjoyment. If you’re concerned about the developmental benefits of the toys Santa is going to leave under the tree this Christmas as well as the kind of consumers you are raising and the environment they will live in as adults, then wooden toys are the best choice for your peace of mind. Besides the obvious vulgarity of beeping and flashing plastic toys, they also strip away opportunities for imaginative and cooperative play. Role playing and pretending encourage children to develop decision-making and social skills as well as allowing them to experiment with different behaviours. These “interactive” toys that talk and tap-dance don’t require any imagination and are designed with solitary interaction or more likely distraction in mind. Their battery-operated actions and responses dictate the terms of play and limit the possibility for collaboration with playmates. Learning to share and engage with peers is imperative to social development in youngsters and wooden toys such as building blocks are excellent tools for this purpose. There is also the issue of quality, although not all wooden toys are equal, on the whole they are more sturdily built and durable than their plastic counterparts. Naturally finished or colourfully painted, wooden toys offer open-ended play that lasts well beyond a pair of AA batteries. 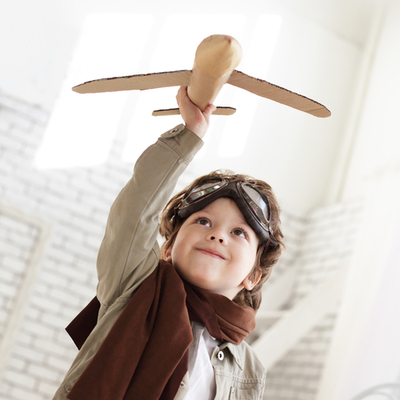 Because there is no restriction on how they can be used or any compatability issues with other toys, wooden toys have been shown to build critical lateral thinking abilities and problem solving as well as developing fine motor skills. Logically, you might think that wooden toys are just as environmentally culpable as the Barbies and Leggos in our landfill; their retro popularity denuding old growth forests. However, many wooden toy manufacturers are making strides in this area by sourcing materials from sustainable plantations and relying on trees that quickly regenerate. 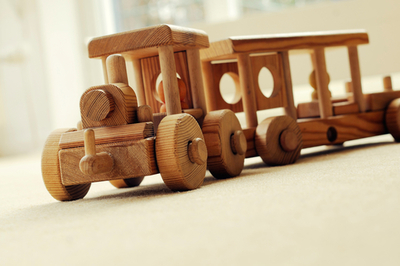 Another benefit is their longevity, the build quality of wooden toys far outlasts plastic and means they can educate and entertain generations of infants, toddlers and even tweens. Lastly, there is just something more tactile about toys made of natural fibres such as wood, the fact that they can’t emulate the same realism as plastic only makes them all the more endearing. The simple fact of the matter is kids love wooden toys, which is why Knock On Wood Toys was started - to provide the highest quality wooden toys to Australian families.